I’ve just been pottering on again in the library today. I finished off checking through the German volume I started yesterday, and then set to work on the book/article list – I got most of it sorted out, I’m currently translating an Italian article on coins from Imbros which were found at the Kabeirion on Lemnos. The rest are copied and just need sorting – adding the information to the bibliographic database I use and filing them. 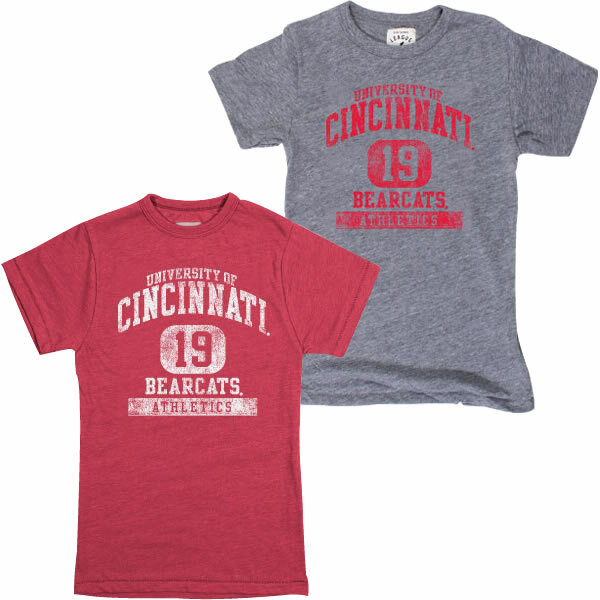 I went for another mooch around the book (ahem, ‘clothes and touristy-stuff’) shop on the campus, they had some nice University of Cincinnati T-Shirts in the last time I passed through, so I thought I would treat myself. I’d seen these ones when I first arrived. 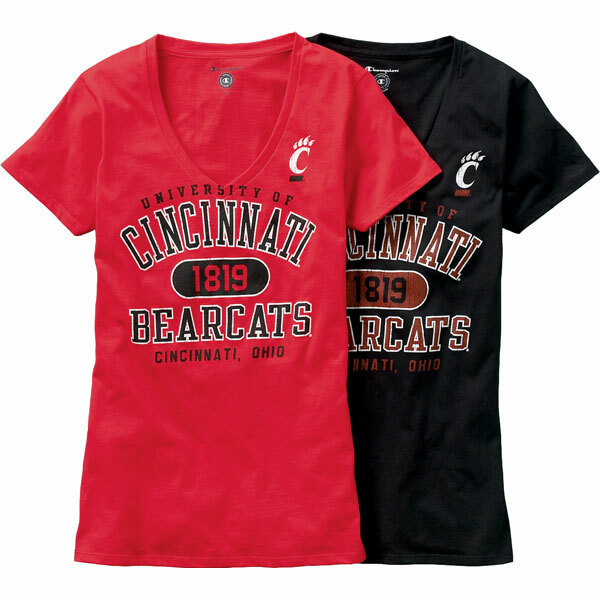 But when I went today, they only had large or extra large left in the black. There was one small left in the red, it probably would fit around the waist and arms but was, how shall we say, a bit small in the bust – I don’t think it would look right and it seems a bit odd to buy something that if obviously too small for me – I don’t know what you two think. They have these ones on the website but I don’t think round necks are really me. I’ll stop by again tomorrow and have another look at the selection. After the library today I went swimming again, another 1000km done! I’ll go again tomorrow. I’m looking forward to the weekend, think I’m getting a bit fatigued being in the library everyday.